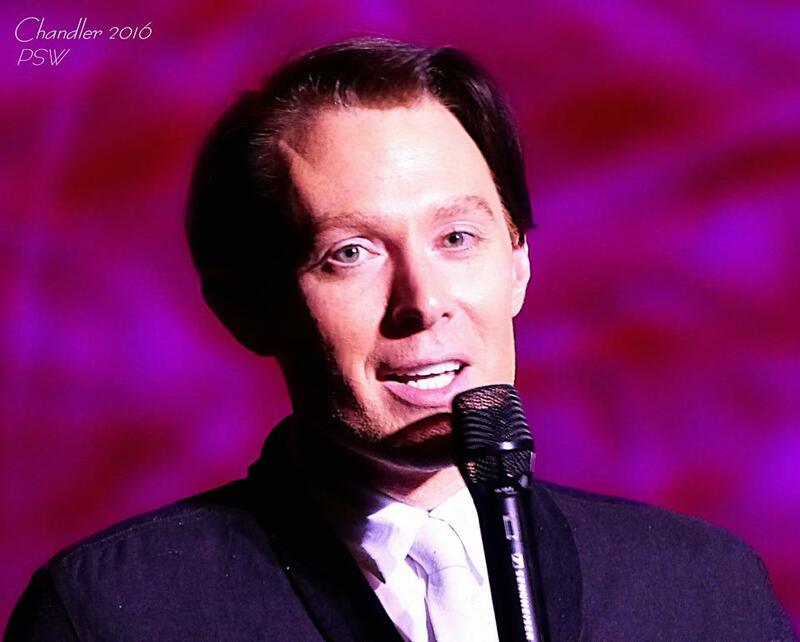 Clay Aiken – This Is The Last Day Of 2016! This is the last day of 2016! 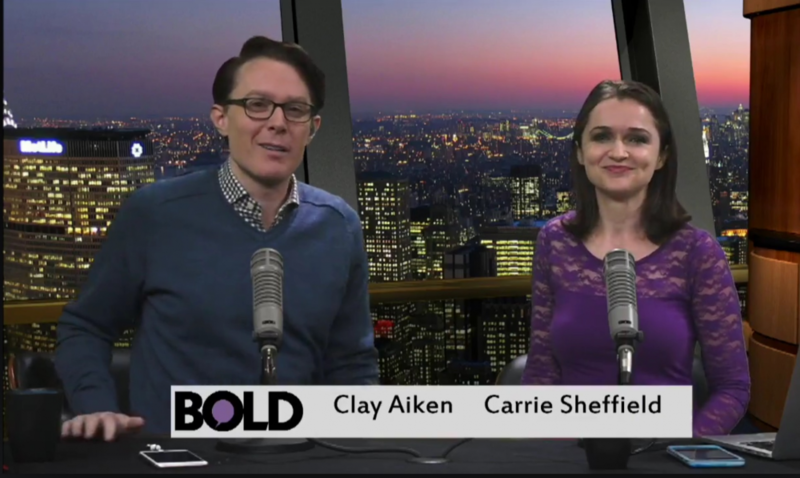 The end of 2016 was exciting for Clay Aiken and his followers. Clay seemed to be having a good time. 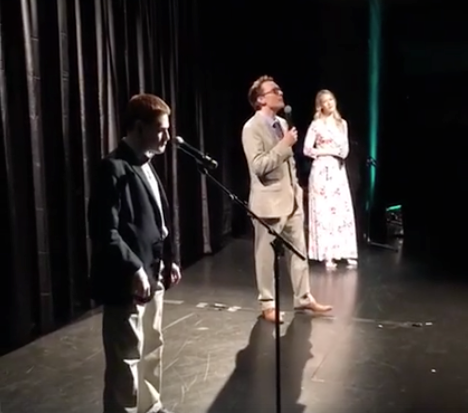 According to social media, Clay Aiken was in the audience to see his friend Heather, on her final performance. Carrie Sheffield and Clay led discussions about, ObamaCare – the good and the bad, Latino involvement in the upcoming election, and Donald Trump and his newest ad featuring Ivanka Trump. They also had a guest that talked about how important it is to make changes in your home to make your life a bit easier and stress-free. 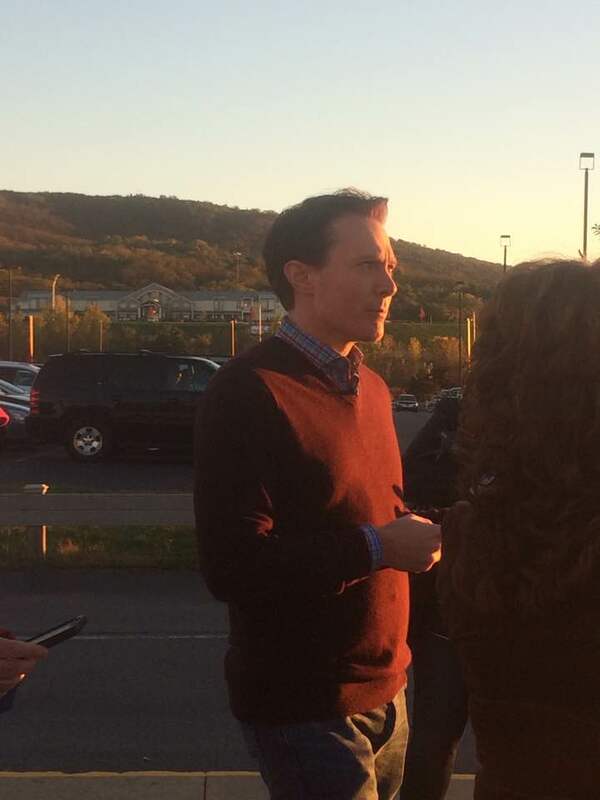 Clay was at a Trump Rally in Wilkes-Barre, Pennsylvania. He was a part of the press representing The View. He was there to chat with many of the people attending the event. 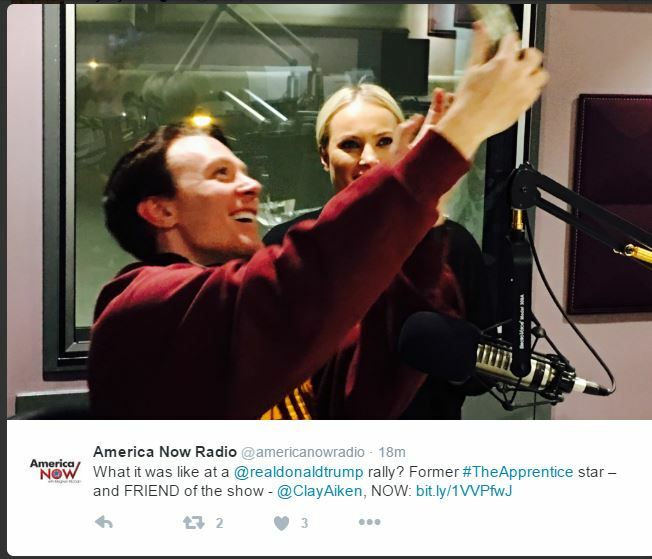 Clay visited with Meghan about his experiences at the Trump Rally in Wilkes Barre. 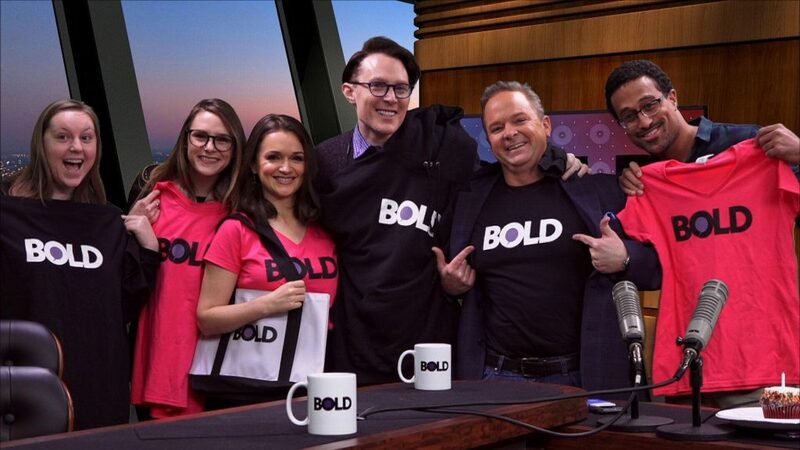 As a co-host on the show, Clay helped lead the program in some interesting topics. Along with Carrie Sheffield, the program ran smoothly through many topics, including Trump and his women, charter schools, and world hunger. 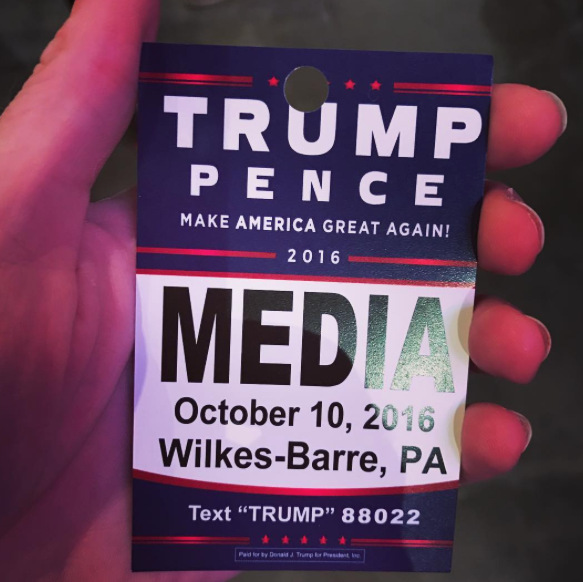 They also had a chance to talk about Clay’s visit to Wilkes Barre, PA for the Trump Rally on October 10th. Clay was a featured guest on The View. He reported on his visit to a Trump Rally last week in Wilkes Barre. Clay did an excellent job of reaching out to the Trump voters. He listened, he didn’t demean any of their answers and he kept control of the conversation. 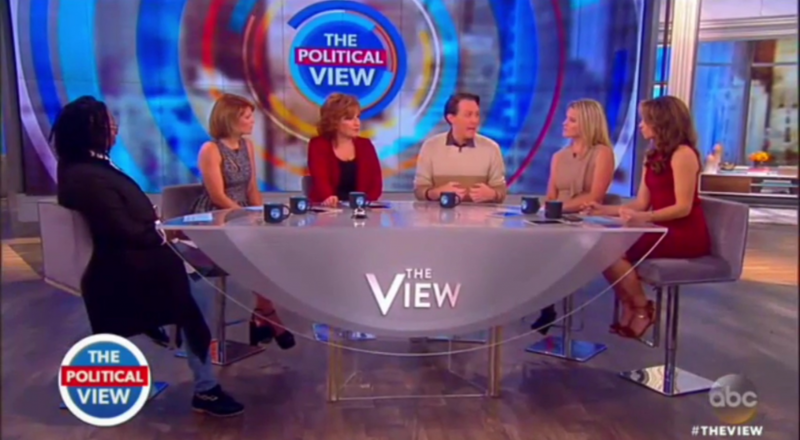 His live conversation with the members of The View panel was great. The information he shared was important for all to hear. He proved that you can disagree with people but still be kind. Held at Fitzgerald’s Irish Pub in Charlotte, NC, the party was attended by 225 people. Both Nick and Clay greeted each person as they walked through the tables. Founder’s Brunch – besides a great meal, the Platinum and Gold members heard from the founders, a board member, and Nick about the Project. Held in the McGlohon Theatre…there were two honorees and lots of music by Clay, Quiana, and a 4 piece band. There was also a live auction on 5 different events with Clay. There is so much information on this event. 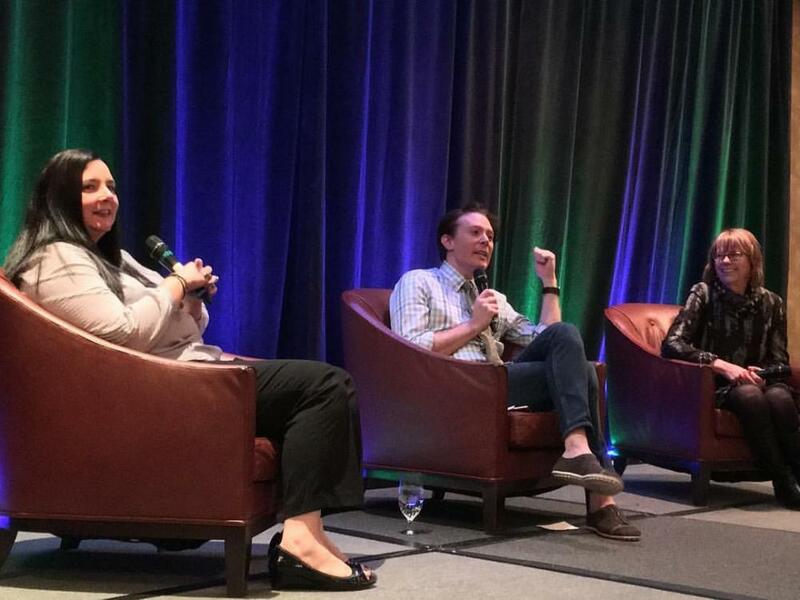 Visit the blog, “Clay Aiken Shines at Annual Gala” for details. 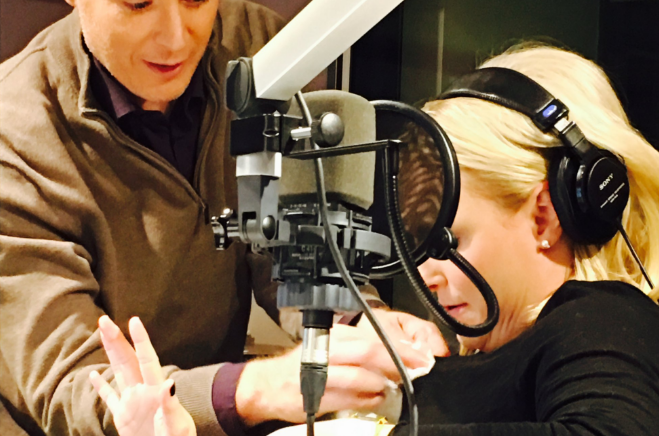 Clay joined Meghan in talk about the election and also about Bridgegate and Christy. Meghan got some help from Clay when she spilled “Wing sauce” down her front! 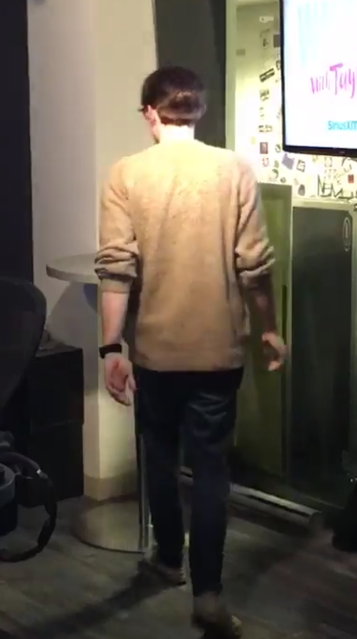 Clay was the co-host on the early morning radio show, Wake Up With Taylor. Clay spent 3 hours talking about the election, Trump, Celebrity Apprentice and other reality shows, and even a story about Parker and the NYC Subway. Clay and co-anchor, Carrie Sheffield talked about President-elect Trump, Health Care and Thanksgiving. They even had a segment about a special Thanksgiving Cocktail!! In this show, the topic was healthcare, Obamacare, and medicare. 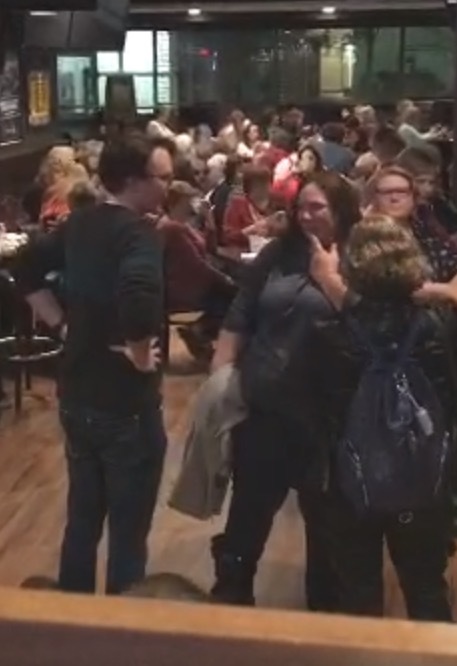 They held a mini debate between Carrie Sheffield and Jeremy Binckes (from Salon). The topic? Privatization of medicare. They also asked the audience to vote in their poll. 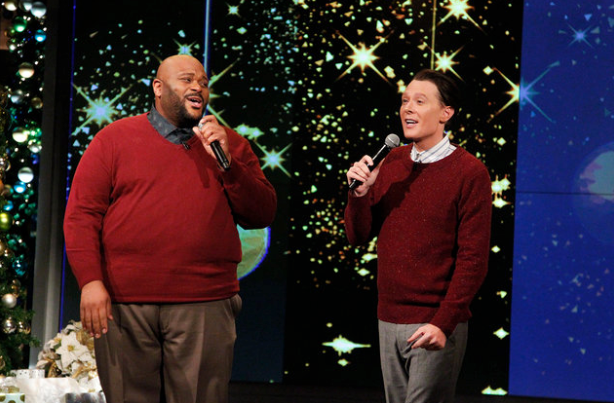 Clay and Ruben Studdard were guests on The View. They sang together and talked about what they have been doing since their “Wins” on American Idol. It was fun to see them singing together on TV. It seems the appearance was fun for the press too. So many news and entertainment sites picked up the story, including Billboard, Entertainment Weekly, and Gossip Cop. 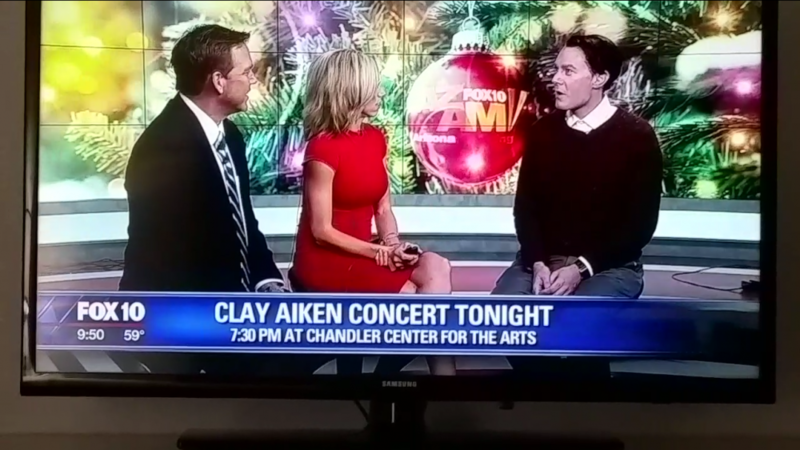 Clay was on Fox 10 Phoenix and ABC15 Phoenix to talk about his one & only 2015 Christmas Show!! The concert beautiful. Clay’s voice was amazing. The audience was full of people from Chandler and they all seemed to love the concert! Clay sang songs from his Christmas album and some new songs that he felt would become classics. Each one was beautiful. The orchestra was so good. They added so much to the show. Clay chatted with the audience and shared some fun stories. Everyone laughed and enjoyed his chatter. Clay received 3 well-deserved standing ovations. That seems to be all for 2016!! I can’t believe that it took 4 days to summarize the year!! And, just think…I didn’t mention everything. We can’t leave 2016 without a wonderful song by Clay Aiken. This video is rather old, but it is wonderful. The beginning is a bit loud, but the rest is amazing. The last three months were very busy! Clay's many appearances on TV, his concert, and sadness with his friend, Jerome! As I do many of these mornings, I'm sitting here with my coffee and enjoying CANN! Again, thank you so much for all the articles and videos of OMC! Thank you for the year end posts. Clay was a busy guy. I have enjoyed this blog all year. Thank you for keeping us informed and putting Clay info in one place. At the end of the video of Clay singing "What are you doing New Year's Eve" there is Jerome escorting him out of the concert hall. Hope Jerome will be able to improve and get back home with his family. Thanks for posting all of the things Clay has done over the past year. A Happy New Year to all. I have really enjoyed the posts that showed all that Clay has done. I imagine it was time consuming. Thank you. What is in the works for Clay? I wish the best for him and for all of you! Thank you for the year-end posts. Clay had a busy year. I enjoy CANN every day. Coffee and CANN go together! Already looking forward to 2017! What a year it has been. It was fun reading the review. Clay had a busy year with lots of different things and opportunities. Do you know what is planned for Clay in the next weeks? I really think he is so smart and talented. I would like to see him in a important and popular assignment. 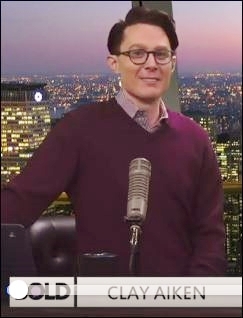 Thank you for keeping us updated in "all things,Clay Aiken". If Clay Aiken sang that song to me I would melt in a puddle at his feet. I have always loved his rendition of that song. I guess we all wonder what 2017 will be for Clay. If he was a republican Fox News would scarf him up. Whatever comes I will support him but I hope we get a song every now and then. Happy New Year to all the Clay fans. Thanks musicfan for all the hard work you do. I don’t know what I’d do without CANN. Really. ❤ UNCONDITIONAL love to you Clay and hope you have a great 2017! Error: Error validating access token: Session has expired on Tuesday, 21-Aug-18 16:13:01 PDT. The current time is Friday, 26-Apr-19 00:50:46 PDT.